Brad Birch’s condensed, contemporary take on Ibsen’s An Enemy of the People is decent enough on its own terms. It gets the job done, but the young company performing it feels a bit out its depth. Squint, working in conjunction with the Royal Welsh College of Music and Drama here, was behind the award-winning Molly, one of the stand-outs of last year’s fringe. But while there’s a lot of stuff going on in this new production – including video projections and live percussion – the different elements don’t really add up to all that much. 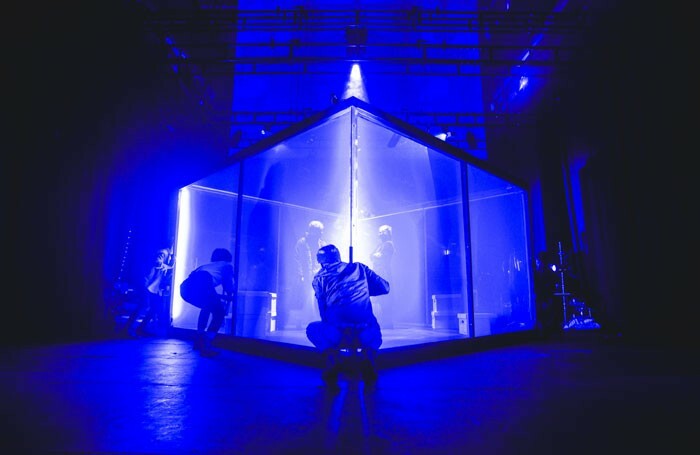 Andrew Whyment’s production plays out in a large Perspex cube, which can be rotated by the performers, while they sit outside it peering in. The thinking behind this is never entirely clear and it also has the effect of muffling some of the dialogue. 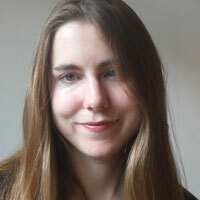 Seren Vickers copes well with the lead role of Tom, the scientist determined to do the right thing following the discovery that the springs of his hometown might be dangerously polluted. The gender-switching of the characters is superficially interesting, but there’s no getting around the fact that the standard of the performances is variable. Vickers works hard and has clarity of voice, but others seem to struggle and the pacing suffers. This is a play capable of feeling timely and resonant, but, evident ambition aside, that’s not the case in this production.